Over the past year the board has evaluated the level of service that we received from our property management company and reached the conclusion that we needed to upgrade to onsite management. On May 1, we added Easy Property Management, led by long term resident Evan Strianese, to supplement Gates Hudson Community Management. 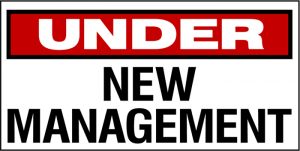 Since then we continued to evaluate and have decided to terminate Gates Hudson on December 31 and go with Easy Property Management as our exclusive property manager effective January 1, 2019. We look forward to improved service and appreciate your cooperation and patience during the transition.